Beyond Bunnies: The Real Meaning Of Easter Season NPR's Michele Norris speaks with writer and Christian essayist Anne Lamott about what the Easter season means beyond the candy and the egg hunt — it is a time of deep reflection and contemplation. This is the season of holy days: Passover, Pascua, Holy Friday and Easter Sunday. For many Christians, the ritual of this Easter weekend will be punctuated by bursting pink and yellow dresses on little girls, and magnificent hats on their mothers and grandmothers. There will be Easter baskets filled with chocolate eggs and plush bunnies. As joyous as the day is, Easter and the season of Lent are also a period of great introspection. 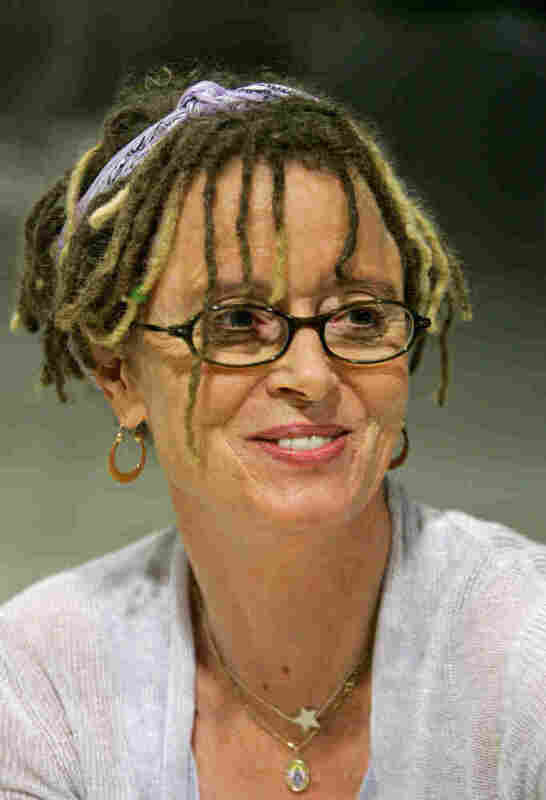 Speaking with NPR's Michele Norris about her reflections of Easter this year is writer Anne Lamott. Many know Lamott from her seminal book on writing called Bird by Bird; parents might fondly remember Operating Instructions, her tome on motherhood. Lamott also writes novels and has published three essay collections on her Christian faith. So what does the season — so much about rebirth and redemption, but also sacrifice — mean to Lamott? "Well, it's the most profound holiday in the Christian tradition," Lamott says. "And I think two things really come to mind. One is something that the great writer Barbara Johnson said, which is that we are Easter people living in a Good Friday world. And I think that every year the world seems more of a Good Friday world. And it's excruciating, whether it's Japan, or Libya, or whether its your own best friends and their children who are sick, which is something that makes no sense when you think about a loving God. But it's a time when we get to remember that all the stuff that we think makes us of such value, all the time we spend burnishing our surfaces, is really not what God sees. God, he or she, loves us absolutely unconditionally, as is. It's a come as you are party." In the essay "Ashes," Lamott wrote about her son, Sam, when he was much younger — in it, she attempts to explain Ash Wednesday to the child, but he just wants to watch television. 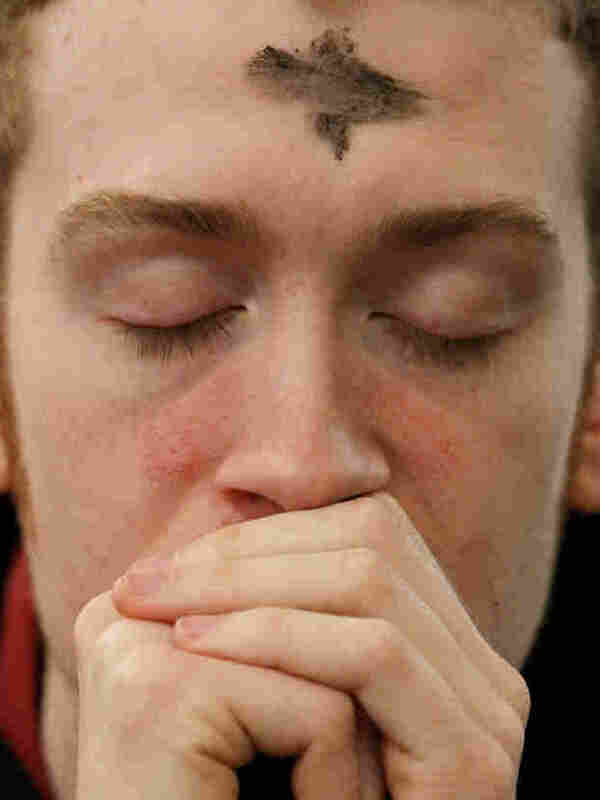 "I remember that Ash Wednesday he happened to have Alvin and the Chipmunks on," muses Lamott. "And they were singing 'Achy Breaky Heart,' and I felt like I might have a complete nervous breakdown. But Ash Wednesday, to me, is about as plain as it gets — we come from ashes and return to ashes, and yet there is something, as the poets have often said, that remains standing when we're gone. So in Easter — and Passover too — something that happens is that we stop. This is the 'dark night of the soul' stuff that John the Divine writes about; that in that stopping we may fall into an abyss that we have been trying to outrun since we were little children ... and the American way, I think, is to trick out the abyss so it's a little bit nicer. Maybe go to Ikea and get a more festive throw rug. But in Lent, if you are a person of committed spiritual growth, you do stop." "When I was 38, my best friend, Pammy, died, and we went shopping about two weeks before she died, and she was in a wig and a wheelchair. I was buying a dress for this boyfriend I was trying to impress, and I bought a tighter, shorter dress than I was used to. And I said to her, 'Do you think this makes my hips look big?' and she said to me, so calmly, 'Anne, you don't have that kind of time.' And I think Easter has been about the resonance of that simple statement; and that when I stop, when I go into contemplation and meditation, when I breathe again and do the sacred action of plopping and hanging my head and being done with my own agenda, I hear that, 'You don't have that kind of time,' you have time only to cultivate presence and authenticity and service, praying against all odds to get your sense of humor back." "That's how it has changed for me," Lamott continues. "That was the day my life changed, when she said that to me." "I'm going to go to my little church, and we will have a huge crowd of about 60 people. And I will cry a little bit ... out of joy, and then I will go home, and I will have 25 people — 15 relatives and about 10 riffraff, i.e., my closest friends — and we will sit down and we will eat, the most sacred thing we do."